A program to entice private companies to write flood insurance in the state–instead of having to use the federal program–is currently the goal of Florida regulators. Skyrocketing flood insurance rates have locked in thousands of homeowners, and The Florida Office of Insurance Regulation is hoping to help. According to a statement from Rebecca Matthews, the department’s deputy chief of staff, to the Senate Banking and Insurance Committee, they are talking to insurance companies that are interested in coming to Florida and creating expedited flood insurance policies. Matthews said, “This is an issue that may need to be taken care of a little sooner than [the 2014 session of the Florida Legislature]. A handful of companies have shown interest.” She also clarified that regulators do not plan to wait until legislators return to Tallahassee in March. “If there’s money to be made in this, and the flexibility is given to private enterprise, then we can get that started. The question, of course, is are we going to be able to do it fast enough,” said Sen. David Simmons, R-Altamonte Springs. 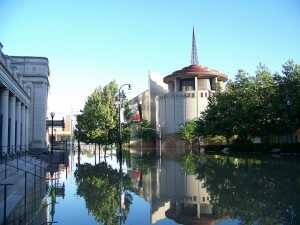 He added that the Biggert-Waters Flood Insurance Reform Act of 2012 could very well harm the state’s economy, and that lawmakers must respond to these unintended side-effects. Approximately 268,000 Floridians whose homes were built before 1974 and are located in high-risk flood zones will be on the receiving end of a hard financial hit, and will lose their subsidized rates upon selling their homes. The increase in rates could even be as drastic as $500 to $16,000 for some of these homes. Thousands of others, some of whom purchased homes last year, will also be hit with spiraling premiums because of the act’s new flood mapping that will take effect. 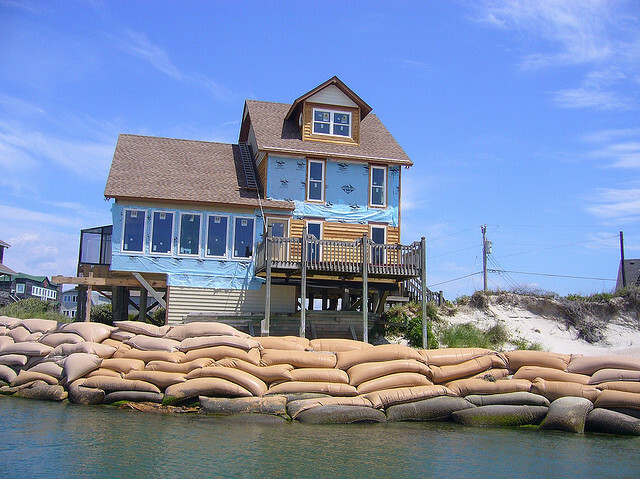 These steep flood insurance rate increases could scare buyers away from purchasing older homes and consequently bring Florida’s slowly-recovering real estate market to “a screeching halt,” John Sebree, senior vice president of Florida Realtors, warned the committee. He advised legislators not to wait for Congress, which has not delayed the rate increases; instead, he asked that they promptly take the Florida insurance alternative into consideration. However, Simmons also has a plan B. In the event that the private market can’t respond quickly enough, he hopes that the Legislature would instead create an insurance pool that could offer rates lower than those provided under the federal program. Over the course of twenty years, Floridians paid $16 billion in premiums and saw less than $4 billion returned in claims. Floridians make up a whopping 37 percent of the entire federal pool, as nearly two million individuals carry flood insurance through the national program. The $12 billion dollar difference between Florida homeowners‘ premiums and claims suggests that Florida suffers a higher-risk reputation than is actually the case, making the state potentially profitable for companies. On the other hand, insurance experts also informed the committee that insurers would need extreme regulatory flexibility in the event that they enter the Florida flood insurance market. The federal government would not give them the data they would need to assess their risk and thereby determine what to charge, leaving them to start from scratch. Locke Burt, a former state senator from Ormond Beach and an owner of Security First Insurance, said, “The private sector has not written flood insurance because, when you start a company you have to have a ‘me too’ filing of something that already exists.” No such company exists in the Sunshine State. However, Nelson said he does believe there is sufficient capital in the market to draw new business to Florida. He just thinks that it would have to come from companies that are not already also affected by Florida’s hurricane risk. Former state representative Don Brown, a lobbyist for Security First, and Burt urged the Legislature to create a task force to find an effective solution. In the meanwhile, Simmons remains hopeful, saying that Congress will be moved to action by the impending threat that Florida homeowners will take their money out of the National Flood Insurance Program. “We can provide leverage to get a solution,” he promised. Florida homeowners could face harsh financial changes in the event that the National Flood Insurance Program remains as it is and no private companies offer flood insurance. They are certainly keeping their fingers crossed that Simmons is correct in his prediction.